I like it when I see a video of people I have never met, and I think, “I’d be friends with those guys!” This is probably the most awesome thing you will see all week. It is also proof that practically everyone from Minnesota sits at the cool kids table. 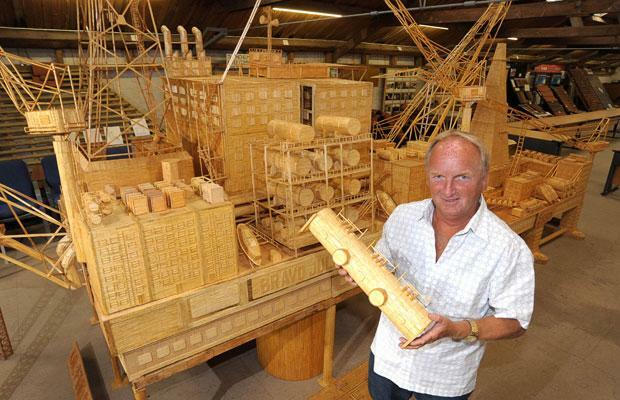 This former oil rig workers spent 15 years creating a model oil rig out of 4 million matchsticks. Bonkers! Download Eskmo’s latest, “Ancestor Mix” here.